On January 29, 2019, ProBit Korea platform will be opened for deposits. ProBit Korea is a Korean Won Fiat Exchange on which users can buy cryptocurrencies directly using Korean Won (KRW). The launch of this new exchange will complement ProBit Exchange – a global coin-to-coin exchange, and users who are already registered on the parent exchange will be able to conveniently move their assets between both the platforms. 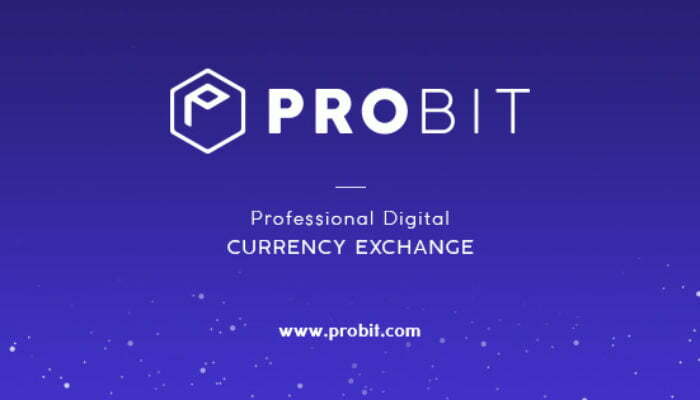 Probit Token (PROB) is ProBit Exchange utility token. The benefit of purchasing and holding PROB includes multiple rounds of airdrops, trading fee discounts, referral bonuses, voting rights and preferential access to new features. PROB token holders have been receiving airdrops since the tokens were introduced. Whenever a project is listed on the exchange platform, the project conducts airdrop of these tokens to the PROB token holders. What’s more, 12 rounds of airdrops have been announced by ProBit Exchange in the next 6 weeks! Click here to see the announced airdrop schedule. The ProBit platform sets aside 30% of all trading fees incurred in both Pre-trade Mining rounds to fund the buyback of circulating PROB tokens in 2019. Furthermore, the project has already burnt 5 million unissued PROB tokens, bringing down the initial 200 million tokens at issuance to 195 million tokens. PROB tokens have never been used for marketing or bounty rewards. All PROB holders are willing investors who see the value of the token and purchased into it. Hence, selling pressure is predictably lower than projects who have distributed their tokens recklessly. Pre-trade mining is the last chance to purchase PROB at a fixed price and should not be missed! Pre-trade mining is a uniquely Oriental activity, unheard of for many users across the Pacific Ocean. The appeal is that it is the last chance for users bullish towards PROB tokens to mine for the tokens before it is openly tradable on the exchange. The price of PROB will be fixed at KRW 200 each (~$0.21 per PROB). This contrasts with the one-day main sale price of $0.2 per PROB and pre-sale price of $0.2 with 10% added bonus. 2 BTC has been made available to the Top 3 biggest pre-trade miners. 1st Place will earn 1 BTC, 2nd & 3rd Place will earn 0.5 BTC each. This event is only available to Korean users who have completed KYC for ProBit Korea. The event duration is from 29 Jan to 28 Feb 2019. Users who deposit KRW to trade against BTC and/or PROB will get the lottery tickets to win prizes in USDT daily. Lottery tickets are based on the “deposited then traded” value i.e.,1 lottery ticket for US$1 equivalent. The draw runs every weekday. Winners will be announced 15:00 KST. It is a global coin-to-coin cryptocurrency exchange that collects no listing fees. ProBit Exchange only lists qualified and deserving cryptocurrency projects. ProBit Exchange boasts of an order matching speed of over 1.5 million orders per second and has a customizable user interface. With the launch of ProBit Korea (KRW Exchange), ProBit is now one step closer to realizing its vision of the ProBit Ecosystem, an integrated system with various services including coin-to-coin exchange, local fiat deposits, more than 150 trading pairs and an IEO platform with a sturdy track record.